The Longstanding main Official Casa Guide originally from UK, Anita Fuller, Popular, Caring & Warm-Hearted, providing excellent service, developed over her many years as guide at the Casa. She and her team warmly invite people from all over the world to be supported and well taken care of, knowing they are in good hands. Anita uses only the best Guest houses very close to the Casa Healing center, enabling her groups to have easy smooth access to the casa, therefore not having long walks to and fro, nor being near the main busy road, thus enabling participants in her groups the quiet and private atmosphere needed for healing. No need to rent bikes to get to John of Gods casa or take a taxi! Anita also promises not to host large and impersonal groups and can therefore be able to provide valuable and caring attention to each participant. Anita welcomes you to join this Once in a lifetime experience Anytime of year. To acquaint yourself with Anita please click here. John of God (Joao de Deus) so fondly named. 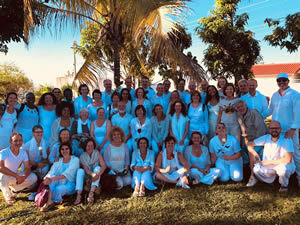 The healing energies are as strong as ever at the >Casa de Dom Inacio in Abadiania, the village that hosts the healing centre .... more than ever people are visiting from around the globe. It is well known that John of God's success rate is very good. As you may understand this is hard to formalize. When one reflects on current orthodox medical treatments and their success rate (when taken on their own without complementary support, or along with a patients own conscious part in their healing process) You may then understand that John of God's success rate is extremely good! John of God's work (as a medium) is seen as an important possible alternative cure for Cancer.... amongst many other illnesses. In the very least it is one of the most powerful support and catalysts for healing shifts available on the planet today. Daughter of the Casa and Medium. 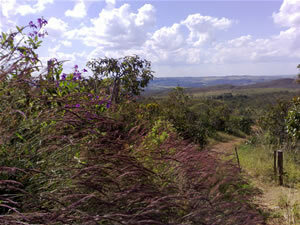 Anita offers the service of professional and compassionate guided journeys to visit John of God in Brazil. 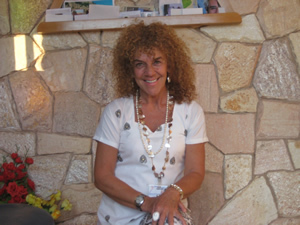 Anita's joy empathy and sensitivity, as well as deep understanding of the invisible healing processes at work at the Casa De Dom Inacio, are of immense value to visitors on this healing journey. Anita is well known in John of God's healing sanctuary for her caring, sensitivity, professionalism, and joyful friendliness. She makes sure everyone in her groups receives the maximum attention and care both from herself and at the casa with staff and in all aspects of being in the healing vortex. Anita does NOT host large, noisy and impersonal groups. More Info..
"There is something about Anita that strikes you as soon as she enters the room. The beauty, tenderness and strength of spirit draw you in. I spent Six sessions with her over 2 weeks and she is incredibly gifted. even though is perhaps dramatic to say, changed my life. The passion she has for her work comes out in every look, touch and time she spends with you. I recommend her to the full." 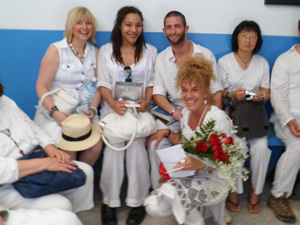 This "spiritual hospital" in the village of Abadiania in central sunny Brazil, welcomes people from all over the world, from all walks of life, different beliefs, coming with many different types of dis-ease, or simply with the thirst for spiritual connection and transformation. Many are drawn here, including prominent doctors, scientists and Health professionals, even prominent healers in their own right or spiritual leaders needing physical healing or to connect with the palpable, strong vortex here. (Even the Dalai Lhama has met John of God and blesses his mission.) Visitors also come to train in their own medium-ship and spiritual healing capacities. This is truly a place where the heart opens and the soul takes flight! 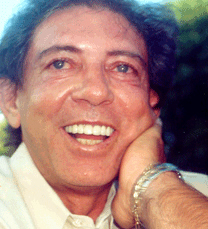 John of God ( whose real name is Joao Teixeira de Faria) sees 1000s of people at any given daily session in the Healing Casa , visitors wishing to be healed, to pray or meditate in the wonderful energy-field here, or to come with photos and love to act as a brdige for healing their loved ones. People also come with immense thankfulness at having already been healed, or for spiritual cleansing and to recharge and give of themselves as mediums to support Johns work. Every week John of God holds 6 sessions, morning & afternoon and does not charge any fee. 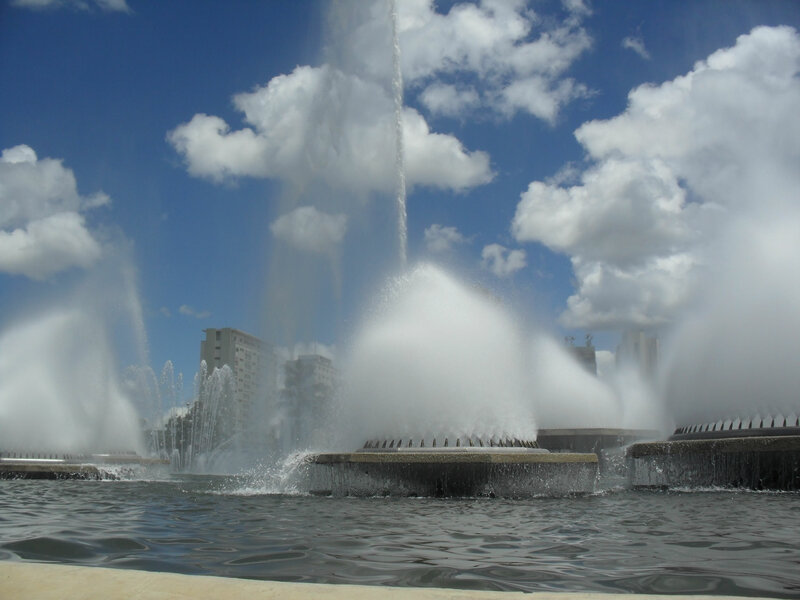 The often prescribed sacred healing waterfall and all important current room sessions, are also freely available to visitors and are a very powerful and deep essential part of his treatment (the spirits that work through John of God also work in these places directly on people, so these prescribed treatments shouldn't be underestimated). The spirit entities that work through John of God really emphasize this part of the healing work done here at the Casa , as the Spirit Doctors work directly on peoples in these rooms , on all levels of being as well as physical. John of God is a very powerful trance medium for elevated spirit entities and powerful universal light healing source to work through. He performs his visible and non visible "operations" with the various many different and elevated spirits working through him. It is possible to observe & participate in some of these. This is a natural healing of disease (even the terminal or so called incurable ones) Also tumours, motor neuron disease, environmental disease, M.E. the lame , and many, many, more types of disease including many types of Addictions. Also people with psychological disturbances, obsessions and obsessive spirit attachments, are also constantly being healed by visiting John of God in his "spiritual hospital "
People must remember healing does take time, even though sometimes is does not , there are enough cases of instant healing to make one wonder at the extraordinary healing that do occur. It has been found, that some participants have arrived back home after having healing with John of God Brazil their results are astounding, reporting powerful results that can even be measured by (e.g. x-ray). There's also a room at Casa De Dom Inacio, full of discarded crutches and wheel chairs. Some may have to visit John of God several times and highly enjoy to do just that! Sometimes there are many reported "visits" in sleep and dreams, people being "worked on" as soon as they set up a firm intention to visit the healing sanctuary, or on the way. (I myself experienced several powerful "visits"! ) Having experienced these entities through John of God at work many times both on myself and with many others, I could never again doubt the very real presence of spiritual dimensions and their benevolent light workers. It is truly a wonderful opportunity to visit John of God in this special place. It really is a chance to delve much deeper into the spirit realm that feels like home to many whom visit, reporting shifts in consciousness and reconnection to a deep profound opening of the heart. John of God's healing sanctuary, "Casa De Dom Inacio" is at the end of the Central Avenue, in the village Abadiania . It over-looks endless beautiful open vista's & hills.It sits 1000 meters above sea level, on reportedly the biggest crystal plateau in the world. John of God (Joao De Deus) was guided to build his healing sanctuary here, by the spirits that work through him. 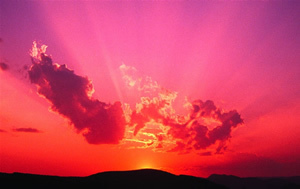 It is thought to have effect of added power of earth's natural resources and power points to intensify healing energies. It is a relaxed simple rural area, local wildlife includes horses, parrots, many huge, sized, butterflies, humming birds (said to be symbols of unconditional love & joy by the red Indian traditions) tropical foliage and superb sunsets! Its a great area to walk and reflect in the silence that pervades and an atmosphere of peaceful reflection is definitely therapeutic and supportive to your healing process. Brazilian locals are warm and friendly. Working with people from UK and US other English speaking countries. Strong bouyant feelings of Love hit me as if on a wave as I enter the large hall of the Casa De Dom Inacio. 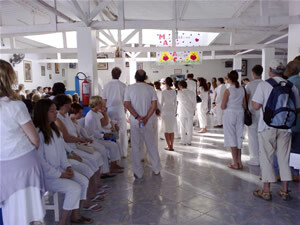 (Johns of God's healing center and Spiritual Hospital in sunny central Brazil.) I sit amidst hundreds and hundreds of people from all over the globe and all walks of life with different beliefs ,sitting in white or light colours, humbly and expectantly waiting their turn to see the healing medium. I feel deep in my bones that I have FINALLY found the place where I will heal and also feel very much at home and welcome. Settling down on a chair to await my turn, I focus my attention on why I have come here, feeling all at once happy, excited, apprehensive, humbled and full of hope. The healing sanctuary sits peacefully nestled at the very end of the small and rural village of Abadiania . John of God was guided to build his sanctuary here by the Healing spirits that work through him, as it is known that such a large mass of crystal, forms a powerful base for transformative healing energies. Abadiania is a strong healing portal. Since John was very young , he has been taken over by benevolent and elevated Spirit entities, as a very powerful and highly effective Channel in healing many, many people. He has dedicated over 50 years to this, often at great personal cost to help thousands upon thousands with many forms of serious diseases both physical and non physical. Many people travel thousands of miles to get here. John of God is perhaps one of (if not the) most powerful and well known healing channel on the planet today. Perhaps his background as a poor farmer has served him well in being able to withstand and sustain such a tough mission. He is a big, strong and simple man with an indomitable spirit and strong faith in God and his given mission. He insists "It is not I but God that heals." and as Dom Inacio the Spirit whom the casa is named after said. "For they who believe no words are necessary, for those who do not, no words are possible! " In the first room I am touched by a peaceful, palpable and benevolent presence. A hushed feeling of love and compassion tinged with light, envelopes the rooms, it is quite unlike anything I have ever experienced before! Suddenly, tears of soft release stream down my cheeks effortlessly and unashamedly, my heart opens wide and unknown weights within lift! I gaze at rows and rows of people sitting in quiet contemplation, prayer and meditative deep trance, all eyes closed and arms and legs uncrossed. I sense the powerful current they are helping to sustain while John of God works. Deeply touched I move forward, glancing at pictures on the walls, of the spirit entities known to have been working through John of God for many years. These include King Solomon, (an imposing and magnificent legendary figure,) Dom Inacio, Jose Valdivino, St. Francis of Assisi, Dr. Augusto and Chico Xavier. I stop in my tracks he seems to know everything about me. I have never seen anything like it! His gaze then dropped to my right lower abdomen (where I had had chronic problems for years) He can see through the physical body and read the aura and blue prints of each of us. On reaching him he takes my hand reassuringly and scribbles a prescription for herbs, tells me to sit in the current rooms and have an operation in a few days. All is over quickly and the translator motions me to leave. I feel as if a shift in my life is about to occur and feel very moved. The next few days I sit in the current rooms and go within. With closed eyes I see and feel light pouring through me and out from the center of my heart, to all present and all beings everywhere. The more I give out the more I receive, I am indeed being used as a beautiful and powerful healing channel to aid the work being done here, as well as receiving healing myself. Deeply en-tranced, I experience a lovely deep communion with benevolent and elevated spirit beings and feel so much closer to God and the deepest part of my inner self and boundless loving and benevolent light beings. I enjoy without measure being in these rooms! The Love is so palpable.On leaving when John Of Gods work is complete, feel elated, energised and filled with a buoyant well-being. Other times I feel I need more time to come out of trance and altered states, taking time out to be alone for a while. Into the light of day we join the queue for free soup , share with others and enjoy the lovely sunshine . On the day of my operation, we are all called into a small room where some mediums are sitting in trance and deep concentration. We are bade to sit and close our eyes, focus on what we need to heal and put our hands on our hearts. Sitting for some 20 minutes , I feel lovely energies circulate inside and around me and As John of God walks past and with great power declared In the name of God your all operated on I feel a surge of pleasant sensations run through me, particularly in the areas I need to be healed. I felt my heart worked on on all levels. .It was all over in a few more minutes and we were given some post op. advice. It has been known to happen that people go home and have had an x.ray with their orthodox doctor and they have seen evidence of stitches on the operated area that John has worked on! In general, since being at the Casa De Dom Inacio I feel much better in all ways. Operations can be visible ( physical) or invisible. The choice is ours and results are just the same. John of God often gives an operation or two on stage, perhaps to lift the veil of what is possible and what is not in our limited perceptions. Cuts & stitches are administered, tumours are removed, crutches are thrown away and there has never been a case of infection, even at the close inspection of Doctors and professionals within scientific organisations, who come to try to prove it a farce, (even T.V. crews) The work has only proven to be authentic if not illogical! There are profound emotional and spiritual shifts in people. The whole area is very supportive of the healings process and visitors have to acknowledge there is indeed a far greater Power than ourselves, (even though invisible and not always evident in our daily lives) There are places on this planet that are natural and Powerful gateways to higher realms , that act as catalysts for transformation, cleansing and healing to take place. I really do feel Casa de Dom Inacio is one of these Gateways. I walk up onto the hill that sees all over the area. A condor takes effortless flight and I gaze out onto forever over these vast open crystal landscapes to witness one of the famous sunsets here. Tears of Joy mixed with sadness roll easily down my cheeks, I know I will be leaving tomorrow. Transfixed. I look into the distance, into a City of Light that sits majestically in clouds of pink with gold and silver linings so fragile and ethereal so beautiful with domes and spirals whispering of other lands in other dimensions and I realize, this is how I have experienced this place: as being in another dimension. I turn slowly away as the city leaves traces through this burning heart! Treading softly as if not to disturb the vision in the sky I walk slowly home to pack. "It felt Love. How did the rose ever open its heart, and give to this world all of its beauty?It felt the encouragement of light against its being, otherwise we all remain too frightened..."